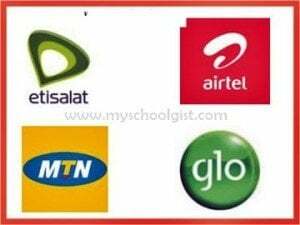 This post was sent in by one of our avid readers to share with other readers that wish to get free BlackBerry Internet Subscription packages on their MTN, Etisalat, Glo & Airtel sim card without paying a dime. Follow the procedures he outlined below. Get Unlimited MB/GB on your respective Network with Just 0 Naira!! Step 4. Wait For 5mins..
You will Get an SMS saying. . . .
. . . . . . . . . . . . . . . . . . . . . . . . . . . . . . . . . . . . . . . . . . . . . . . . . . . . . . . . . . . . . . . . . . . . . . . . . .. . . .. . . . . . . . . . . . . . . . . . . . . . . . . . . . . . . . . . . . . . . . . . . . . . . . . . . . . . . . . . . . . . . . . . . . . . . . . . . . . . . . . . . . . . .
You will get all kinds of reply from them. Just give this a try. Please How many student they will Accept at Nigeria Defence Academy Kaduna this Yeah. @Khenny Dhammy, we don’t know yet.